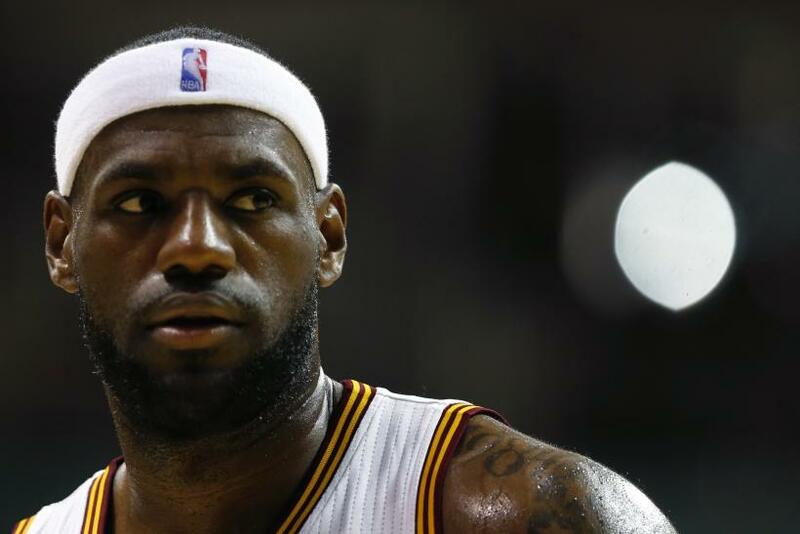 The 2015 NBA Finals could be about more than just legacy for the Cleveland Cavaliers’ LeBron James. How James performs in the championship series -- his fifth straight finals appearance and sixth overall -- could affect his standing as a marketing asset. That may have less to do with his abilities on a basketball court and more to do with the public’s frequently fickle opinion. A win or a loss could shift the perception of James as a crunch-time player one way or the other, as the result of the finals will leave him with either a break-even 3-3 record or a losing mark of 2-4 on the league’s biggest stage. The public’s perception can have real effects. A loss for James could shrink marketing opportunities, while a win -- as the hometown savior -- could significantly expand his earnings potential, said McFall, who specializes in sports economics. Among James’ backers, such as Dan Enfield, 28, the conversation surrounding the player’s legacy is cemented, the argument settled. Enfield, a Florida native, became a fan of James after the superstar joined the Miami Heat in 2010, and he stuck by the forward when he jumped back to his hometown Cavaliers before this season. There is also a prevalent notion that James carried the Cavaliers, through devastating injuries, to the NBA Finals this season to face a favored Golden State Warriors team -- and that a win or a loss in the series should not change how the public perceives James’ career. Don Roy, a professor of marketing at Middle Tennessee State University, said that the public may shift how it feels about James, but the effect on his marketing power wouldn’t be significant. In Game 1 Thursday night, James dropped 44 points, grabbed eight rebounds and dished out six assists. But his performance at the end of games, like the last, off-balance jump shot in regulation -- and the ensuing Cavs’ loss -- can perhaps sway some fans’ opinion more than every play before it. By almost every account, James is a once-in-a-generation NBA talent, but he has often been the subject of criticism, especially in connection with the finals. The sports world can have a short memory. Winning sells and images of success can boost a player’s marketability. A loss could maybe do the opposite. “Sports fans like for their athletes to be winners,” McFall said. A runner-up -- as James could soon be for the fourth time in the finals -- not so much. “We don’t have those indelible, iconic images in our head of him winning,” McFall said. James’ legacy will likely continue to be debated. When the 2015 NBA Finals conclude, some fans might shift their perception one way or the other -- and the star’s marketability could, perhaps, rise or fall. McFall and Middle Tennessee State’s Roy both pointed out that James has already pushed forward as a brand through his return to Cleveland. “If you look at it from another angle, instantly making [the Cavaliers] a contender in one season would maybe offset the disappointement of losing,” Roy said. And no matter what the result, James will still likely remain a force -- and a debate subject -- in the sports world.